First Home Owners Dream ! ! ! Your very first home, is the best investment you will ever make. This amazing value First Home Buyer Package, has everything for the young family. 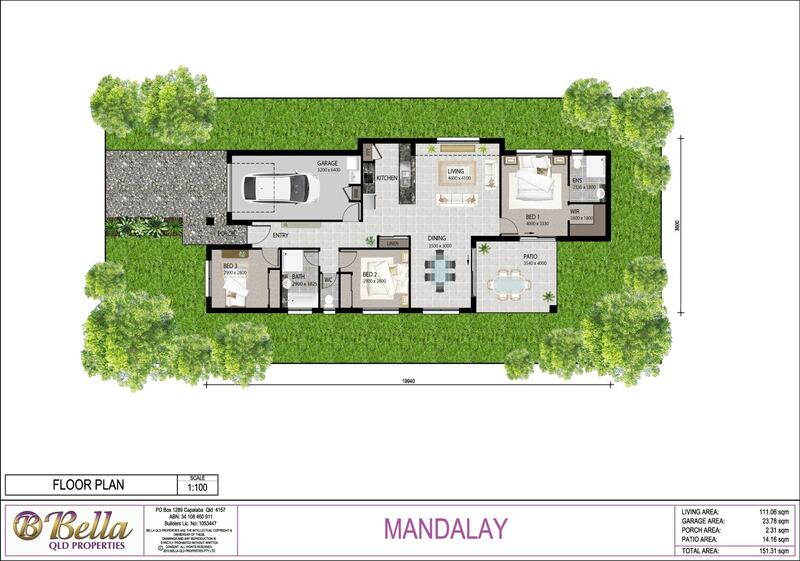 This Turnkey Package of the Mandalay by Bella Qld Properties at Brentwood Forest, Bellbird Park is the perfect start for the first home buyer. An ideal design offering 3 bedrooms, 2 bathrooms, 1 car garage, spacious open living area and a large outdoor area, which is perfect for that Sunday barbeque. Surrounded by Schools, Shops, Brookwater golf course, plus all the advantages that Greater Springfield now has to offer, with easy access to all major arterials and just 40 minutes by train to Brisbane CBD. This is the perfect family home, in the ideal community setting. Contact Brenden Bonning from Bella Qld Properties for more detailed information on 0433 772 747 or visit our display home at the Providence Display Village, Soul Crescent, South Ripley. *Terms & Conditions Apply. House price subject to final site investigation and head office approval.